When the shadow of war descends on Australia in 1914, a boy and his horse set off for war in the Middle East. With water rations gone, they charge the enemy across six kilometres of open ground to reach the wells at Beersheba. In one moment of dash and bravura, both Jason's and Bandy's destinies are set as the battle unfolds, with heroic and tragic consequences. “Bandy jerked her head. I felt her shiver and neigh to the other horses. 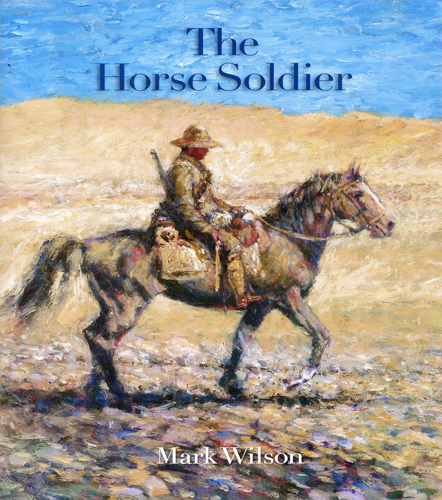 Then a hand went up in the distance, and the soldiers urged their horses into a canter.” When the shadow of war descends on Australia in 1914, a boy and his horse set off for war in the Middle East. With water rations gone, they charge the enemy across six kilometres of open ground to reach the wells at Beersheba. In one moment of dash and bravura, both Jason’s and Bandy’s destinies are set as the battle unfolds, with heroic and tragic consequences.